2 Bedroom Flat For Sale in Exeter for Guide Price £160,000. FEATURED IN THE BIG OPEN HOUSE. 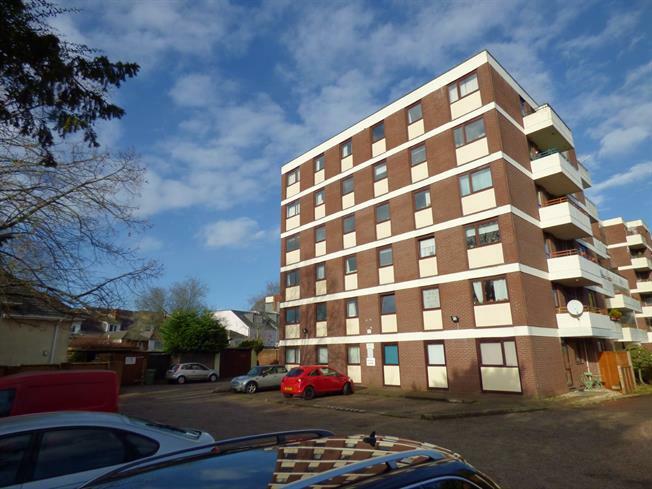 This well presented second floor apartment offers spacious and light accommodation and benefits from double glazing, new lift to all floors, ample parking and brick built storage cupboard. There are two good size double bedrooms both with park views and built in wardrobes. The spacious open plan kitchen living room opens on to the balcony and has been re-fitted with integrated dish washer, fridge, freezer, oven, hob and cooker hood. Modern fitted bathroom with a panelled bath with shower over, vanity unit wash basin and wall hung WC.